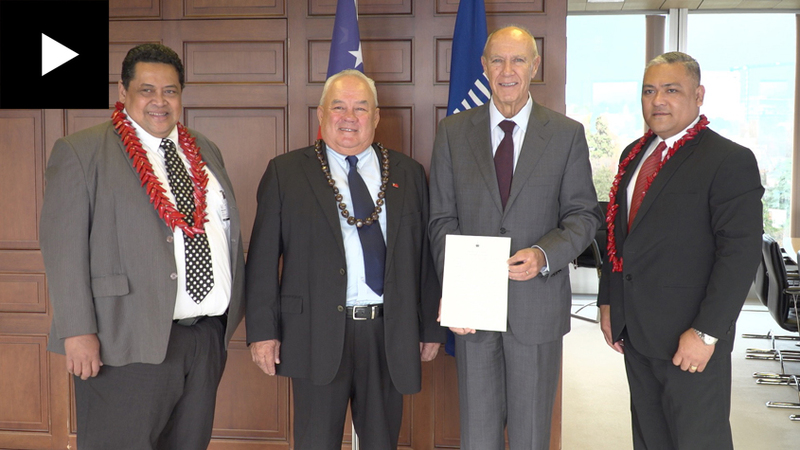 On December 4, 2018, the Government of Samoa deposited its instrument of accession to the Madrid Protocol with WIPO’s Director General, making Samoa the 103rd member of the Madrid System, which now covers 119 countries. The Protocol will enter into force for Samoa on March 4, 2019. Starting March 4, 2019 local brand owners in Samoa can begin using the Madrid System to protect their marks in the 118 territories of the System’s other 102 members by filing a single international application and paying a single set of fees. With its straightforward designation process, foreign companies and trademark owners can, from March 2019, seek trademark protection through the Madrid System when selling their products and services in Samoa. The deposit, made by His Excellency Mr. Lautafi Fio Selafi Purcell, Minister for Commerce, Industry and Labour of Samoa includes declarations under Articles 5(2)(b) and (c) of the Protocol (extension of the refusal period to 18 months and beyond for oppositions), Article 8(7) of the Protocol (individual fees), and Rule 20bis(6)(b) (recording of licenses in the International Register has no effect in Samoa), of the Common Regulations. Samoa’s accession spotlights the Madrid System’s emergence as a key component of protecting marks internationally, offering a convenient and cost-effective solution for brand owners worldwide. And stay tuned – information about Samoa’s trademark laws and practices will soon be available in the Member Profiles Database. Are you the holder of an international registration? Use our online e-Subsequent Designation serviceand expand the scope of protection to include Samoa’s consumer market. Then, track the status of your request with Madrid Monitor. The Madrid System makes it possible for you to apply for trademark protection in up to 119 territories by filing a single international application with the national or regional IP office of a Madrid System member.